When I'm traveling through airports, or even on road trips, I usually like to have my camera handy, just incase I see something I want to take a shot of. This base layer adds a little bit of padding to protect my camera incase I bump into something, or if I'm in a car and someone has to slam on the breaks. It just makes me feel a little more secure having it around my shoulder while maneuvering through the world! It's also great if you're climbing up boulders! In addition, it has a blue waterproof cover that you can pull out. This is such an amazing plus, especially for me because I always seem to be near water and I always end up getting wet. Next, I'll jump into the Hydrolite pack. I recently created a blog on this, but in short this thing is exactly what every adventurer needs. Whether you are traveling through another country or hiking for a long period of time, this pack is a must! 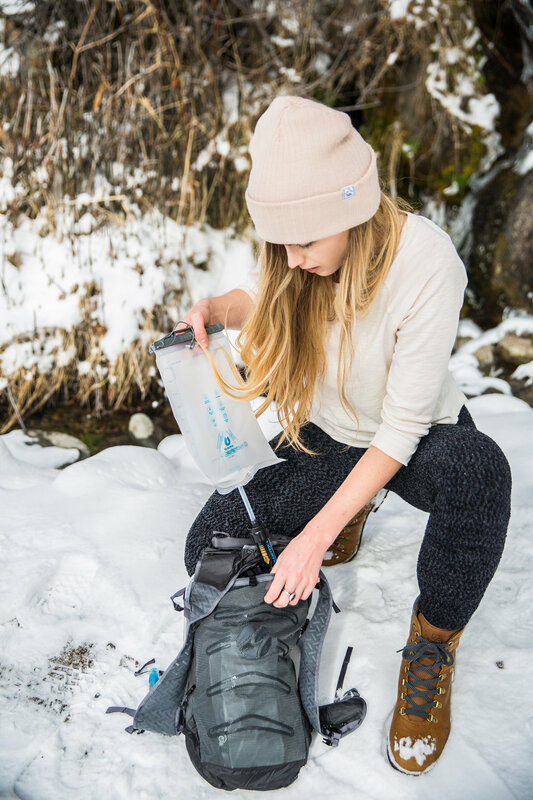 It has a built in water filtration system, so you can fill up your water pack anywhere with almost any water and stay hydrated safely! This pack also rolls up into a a compact case that takes up minimal space. It's great if you plan on going on an overnight hike somewhere that you believe will have streams or waterfalls. Instead of lugging around large water vessels, you can simply just fill up this pack when you see some fresh water. It also has plenty of room for extra clothes and snacks! 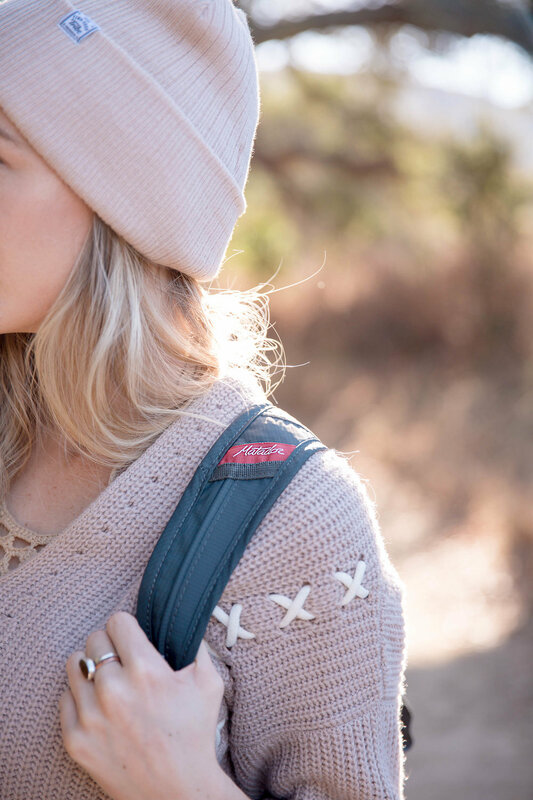 Matador makes a bunch of backpacks, and they are great for a bunch of different reasons. Again, these backpacks are made for traveling. They are super compact and take up barely any space, making it perfect for road trips or airport travel. If you check out my previous blog on this pack you can see just how much stuff I was able to fit into this bad boy! I was able to pack a tapestry, thick sweatshirt, sweatpants, thick socks, a bikini (of course), and so much more! If you are hiking with a partner, I would recommend taking this pack, along with the Hydrolite pack, they are a great combo! Last but certainly not lease, we have the smallest item I own from Matador. Don't let the fact that it's tiny fool you on it's level of importance. In fact, because it is so small it makes it an essential for anyone who travels and likes to get wet! That's because this little towel is super absorbent and dries fast even if you have to roll it up and put it back in its case. The case that it comes in can clip onto your pants, backpack, or even water bottle. If you'd like to read the blog where I venture to this hot spring and talk more about this amazing towel click here. That sums up my essentials for adventures! Let me know if you have any questions by either leaving a comment here, or finding my on Instagram!